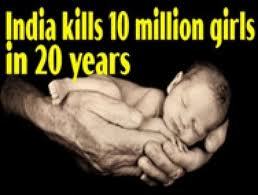 The story of female foeticide is not unknown either. We were already known but it came in to limelight when a celebrity came forward to bring this in the front of everyone with a team which doing such deadly surveys almost in every part of the country. People who are indulged in it are not different but the ones among us. This terrible act is not a single man act but many hands are coding together to execute……. “Together is the force, easier to complete the task”. Is this only for the baby boy? Why we are pointing out others? What action we have taken so far? Is the lack of knowledge in family planning? Is the education required for narrow minded oldies and in-laws? What is the fault of unblosomm bud? 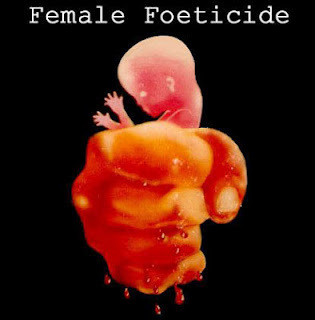 What is the fault of female womb? A poem of embosomed bud………..
and a bit harsh touch..
What was that touch, I wanted to know? Why they broke me, when I was just half grown? What was my fault; I just want it to ask? You've written such a touching poem. I share your views. When baby Afreen died, I was so angry and helpless that I didn't know what to do other than write a poem on behalf of Afreen. 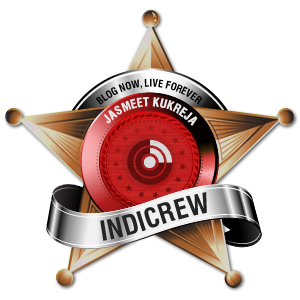 Thus I wrote "The Life & Death of Afreen , read it here - http://anupampatracontemplates.blogspot.in/2012/04/life-and-death-of-afreen.html . I'e tried to echo the voice of the voiceless Afreen and many others who've met a similar fate. Anyways I was deeply moved by your poetry. ur poem is so intensive and heart melting Anupam. Beautiful poetry,Touching.And this is a land that worships Durga and Sita! Shameful! Very touching and thought provoking.. nice work!! This poem touched me deep inside, i really don't know what to day, but yeah you know very well how to touch some1 heart by words!! Trust me, its a great poem!! This particular show is indeed very moving - it brings out issues that we knew exist, but were not sure that they were so bad. You know something, I came across a poor man who had five daughters... I was so amazed at his financial condition, that I had to ask why did he have so many children in the first place. And his reply was the most obvious, "I was trying for a boy..."
So well said, ....the first step is to change our minset!! Thanks a lot panchaliji for dropping by and for liking it! Time to react....rather than comments!! Filter yourself followed by the family > society > city n country!! aaaaaaahhhh !! :( !! Aasto Maa Jyotirgamay !! i agreed Malay but it is very difficult for that mother to choose between a baby , husband or in-laws.....only possible when her husband also support her against his family but alas very less cases have been reported ...even husbands are the main culprit to pressurize their wives for abortion. What was my fault; I just want it to ask?"